Only one decision would have been overturned in the five games during which the Premier League trialled video assistant referees (VAR) on Saturday. 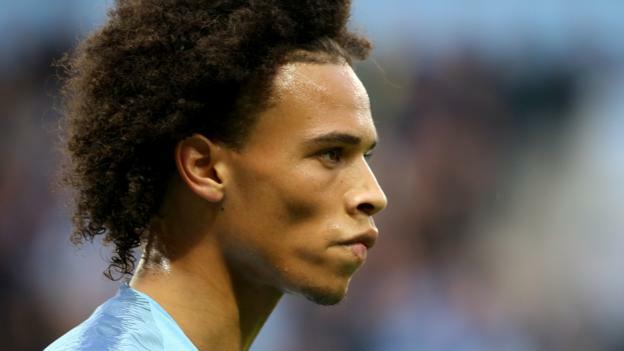 A Leroy Sane goal disallowed for offside in Manchester City’s 3-0 home victory over Fulham would have stood. Replays showed Sane was marginally onside when scoring just before half-time. It would have put City 3-0 ahead. The trial took place at the central VAR hub, and there was no communication with anyone at the matches. It is understood the Premier League is happy with how the trial went. The penalty awarded to Bournemouth for handball in their 4-2 win over Leicester would not have been overruled, as it was not considered a clear and obvious error. In April, Premier League clubs voted against introducing VAR for the 2018-19 campaign. After VAR tests at individual fixtures last season, the Premier League wanted to see how the system coped with several games at the same time. As with last season, it will be used in the EFL Cup and FA Cup, but only at top-flight grounds. It was in operation at 19 games last term, a number it is thought will rise to about 60 this season.